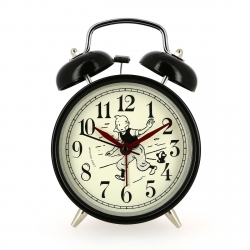 Watches and alarm clocks There are 29 products. 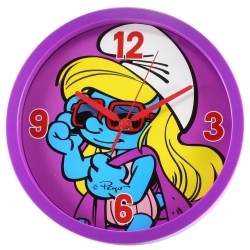 Junior watch for children with image of The Smurfs. White silicone strap, fits the wrists of approximately 9-17cm in circumference. Papa Smurf. 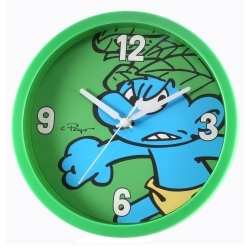 Junior watch for children with image of The Smurfs. White silicone strap, fits the wrists of approximately 9-17cm in circumference. Smurf Cosmonaut. 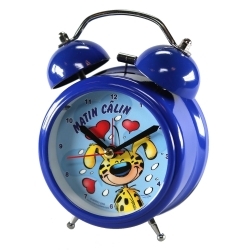 This beautiful, sturdy, traditional Gaston Lagaffe alarm clock will help you get up early and make the most of your day. Old blue alarm clock with alarm on top. Very decorative for your bedside table. This trendy watch with the effigy of Tintin and Snowy follows the current fashion with its large dial and blakc leather strap. Tintin in action Classic L. Delivered in an elegant jewelery box. 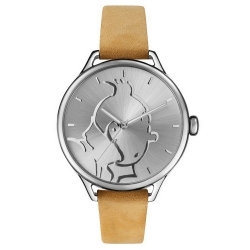 This trendy watch with the effigy of Tintin and Snowy follows the current fashion with its large dial and gilded leather strap. Tintin in action Classic M. Delivered in an elegant jewelery box. 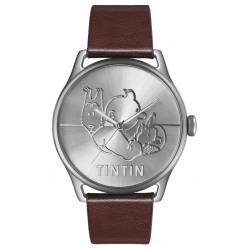 This trendy watch with the effigy of Tintin and Snowy follows the current fashion with its large dial and brown leather strap. Tintin in action Classic S. Delivered in an elegant jewelery box. 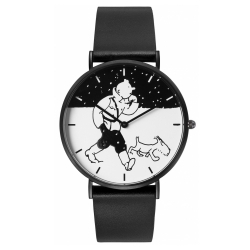 This sports watch with the effigy of Tintin follows the current fashion with its small dial and black silicone strap. Sport Skin Thomson and Thompson M. Delivered in an elegant black jewelery box. 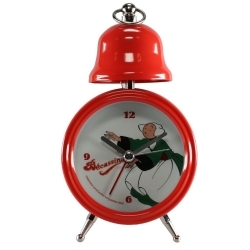 This sports watch with the effigy of Tintin follows the current fashion with its small dial and green silicone strap. Sport Skin Calculus M. Delivered in an elegant green jewelery box. 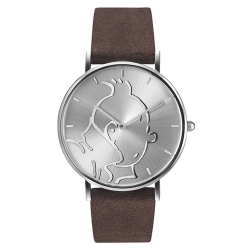 This sports watch with the effigy of Tintin follows the current fashion with its small dial and grey silicone strap. Sport Skin Tintin M. Delivered in an elegant grey jewelery box. This sports watch with the effigy of Tintin follows the current fashion with its small dial and white silicone strap. Sport Skin Tintin S. Delivered in an elegant white jewelery box. This sports watch with the effigy of Tintin follows the current fashion with its small dial and pink silicone strap. Sport Skin Snowy XS. Delivered in an elegant pink jewelery box. 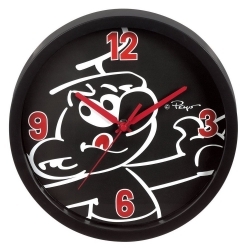 This sports watch with the effigy of Tintin follows the current fashion with its large dial and black silicone strap. Tintin and Haddock Astronaut. Delivered in an elegant black jewelery box. 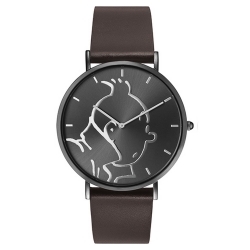 This sports watch with the effigy of Tintin follows the current fashion with its large dial and black silicone strap. Sport Moon Rocket L. Delivered in an elegant black jewelery box. This sports watch with the effigy of Tintin and Snowy follows the current fashion with its small dial and blue silicone strap. Sport Skin Soviets (Amilcar car). Delivered in an elegant blue jewelery box. 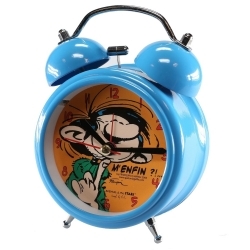 This sports watch with the effigy of Tintin and Snowy follows the current fashion with its large dial and blue silicone strap. Sport Soviets (Amilcar car). Delivered in an elegant blue jewelery box. 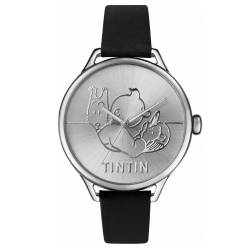 This trendy watch with the effigy of Tintin and Snowy follows the current fashion with its large dial and black leather strap. Classic Soviets (Snow). Delivered in an elegant black jewelery box. This trendy watch with the effigy of Tintin and Snowy follows the current fashion with its large dial and brown leather strap. Classic Soviets L (Amilcar car. Delivered in an elegant black jewelery box. 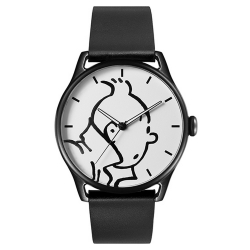 This trendy watch with the effigy of Tintin and Snowy follows the current fashion with its large dial and black leather strap. Classic Soviets M (Amilcar car). Delivered in an elegant black jewelery box.